Hong Kong: Asian stocks are poised for their first weekly rise in a month buoyed by coordinated central bank actions, while the euro consolidated its hefty gains ahead of a key European summit next week to tackle the euro-zone crisis. Coordinated central bank action to cut the cost of funds in money markets, plus a Chinese move to free up more bank capital, sparked a big rally in risky assets. 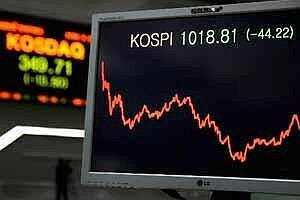 This followed profit-taking after the release of mixed economic data from the United States and China. European Central Bank President Mario Draghi is urging progress towards a new euro-zone fiscal program and is willing to act more aggressively, while the leaders of France and Germany are working hard at a compromise. “We’re in consolidation mode but its basically down to the non-farm payrolls today and then back to Europe next week," said Christian Keilland, head of trading at agency brokerage BTIG in Hong Kong. “And the propensity of Europe to drop the ball on these is huge," he said. “Funds that are flat to down this year are probably going to scramble and try push things higher but its going to be difficult." Stock indices in Asia trended lower after Thursday’s bounce. Hong Kong, Korea trended lower while MSCI’s broadest index of Asia Pacific shares outside Japan edged lower after jumping more than 4% on Thursday. US stock futures was flat. While the coordinated action by central banks pushed dollar LIBOR rates down for the first time in more than four months, traders said more steps need to be taken to thaw the spreading freeze in money markets. Even as London interbank offered rates for three-month dollars fell to 0.52722% on Thursday from 0.52889% in risky assets, its first decline since July 22, some traders used the bounce as a selling opportunity. The rising cost of dollar funds have sapped demand for Asian credits and hurt issuances going into the year end period. Traders said borrowing via these new swap windows would be small due to a variety of factors such as the decline in external liabilities of euro area banks, the stigma associated with borrowing from the ECB and a lack of eligible collateral among banks, which may be addressed in next week’s euro summit. “It does feel a little better but we are seeing sellers into the strength," said a Singapore-based trader with an Asian bank. “No one is massively in a risk on mode at the moment." In credit markets, spreads on the Asia ex-Japan iTraxx investment grade index held around 200 basis points compared to 206 bps in the previous session. In currencies, the euro struggled to extend its chunky gains of this week, with traders focused on the closely watched U.S. non-farm payrolls report due later on Friday. Due at 1330 GMT, the labour data is expected to show an increase of 122,000 jobs and a steady unemployment rate of 9.0%. A positive surprise is likely to underpin risk sentiment, while a weaker-than-expected outcome could prompt investors to take more profits on recent gains. US Treasury prices extended declines with ten-year yields trading around 2.08%, above a 1-1/2 month low of 1.89% hit last week. Spot gold traded broadly flat on Friday while US crude futures dipped slightly to around $100 a barrel.